Born in Toledo, Ohio, in 1938, Robert Heindel recalls that both drawing and painting were a natural focus for him. A progression to art school simply wasn’t possible either financially or practically. Instead, like many young artists he found himself a job in a professional art studio. He became a correspondent of Famous Artists School during those years and comments "Famous Schools taught me self discipline - the very fact that I had to meet deadlines, ensure I returned my work and then await the outcome, certainly prepared me well for the future at first in the illustrative and later the gallery business. Most significantly, it taught me quickly to function alone, for painting is not a joint project". Forty years on and Heindel is himself an honorary member of the Schools board and now an inspiration to young artists. Following graduation from Famous Artists his career flourished. At first in the world of illustration where, during the 1970’s, he was recognized as one of Americas finest, and achieved work on the covers of ‘Time’ magazine and won a place in the permanent collection of The Smithsonian Institute in Washington DC. One night in the early 1980’s chance tickets to the ballet (Nureyev & Fonteyn no less) presented him with unfamiliar territory which he found at once compelling and his obsession with dance was fired. More than twenty years on he has made contemporary ballet his world, earning such responses as ‘the greatest painter of dance since Degas’ (David Bintley – Artistic Director of Birmingham Royal Ballet). Heindel has worked with many of the worlds leading ballet and dance companies, always preferring their rehearsal periods. Such companies include The Royal Ballet, Birmingham Royal Ballet, Rambert Dance Company, American Ballet Theatre and San Francisco Ballet. In pursuing this direction he has accordingly worked with and painted many leading names from dance - Darcey Bussell, Irek Mukhamedov, Viviana Durante, Sir Anthony Dowell, and Sir Frederick Ashton to name but a few. Heindel’s oil canvas of ‘Sir Fred’ is now within the permanent collection at The National Portrait Gallery in London. 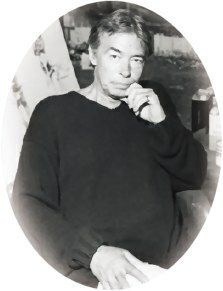 Lord Andrew Lloyd Webber commissioned Heindel to paint impressions from his musicals ‘Cats’ and ‘Phantom of The Opera’ during the mid 1980’s. These impressions were then seen world-wide in the theatre productions. Diana, Princess of Wales was an admirer and collector of Heindel's work, attending some of his exhibitions. Other royal guests to his exhibitions over the years have included Princess Margaret, Princess Caroline of Monaco and Prince Takamado of Japan. Dance and dancers are Heindel’s inspiration – those he dwells upon in his individual paintings are exquisitely captured, but of greater significance is the mood and atmosphere he achieves. He comments "dancers have perfect bodies capable of attaining extraordinary physical heights, I find them fascinating. Stage performance is secondary for me when compared to the rigors and genuine emotion I see in rehearsal." After more than two decades of observing dance, Heindel now seeks the more contemporary or experimental in which to find the new. Sometimes this comes from the established ballet companies, Birmingham Royal Ballet being a prime example with their dynamic repertoire, other times it can be a small avant garde troupe such as those he sometimes sees when visiting Japan. A significant departure from dance are his adventurous ‘Painted Walls’ – these are an ongoing series that were originally inspired by African trips but now chronicle, in abstract form, his own life and experiences. Panels can be triggered by a simple primitive motif or artifact, alternatively they can be a response to an aerial outlook from a flight or the power of nature. Using his camera as his seeking eyes, Heindel takes literally hundreds of shots during any session of rehearsal observation. After two or more decades of silently moving around a studio, auditorium or in stage wings, he knows his discreet approach leaves the dancers unaware of his presence." In turn he manages to capture not only the obvious but also the moments one thought had been hidden" (Sir Anthony Dowell). Once back in his studio, in USA, he sets about the sorting process to discover those moments he chooses to develop. The literal camera shot is eventually transformed through sketch, colour sketch to mixed media canvas or panel. The paintings certainly carry the form of the dancer observed, beyond that its pure Heindel. As for materials, these are loosely gathered together under the term ‘mixed media’ - certainly oil paint and conte crayon are predominant in the work, but almost anything to hand can be employed in the finished works - over the years this has included charcoal, pastel, foil, sequins and even a pair of dancers woolen tights!! When working at home a typical day will consist of much time spent in the studio, an extension to his home. Various works might be in progress at any one time thus he works around the generous space. Music generally plays throughout the day and night, sometimes recreating the spirit of the ballet or dance he has been observing and thus working with. Other times it will be a mixture between Film Scores through Jazz to Contemporary Rock to World Music. The working day, which is generally every day, starts at around 7 or 8am, possibly considering the previous days work or continuing from the night before. Heindel works through the morning breaking for breakfast and then continues. As his mood takes him he sometimes tends his plants outside in the Summer months, and in his conservatory throughout the year. He generally works through to around 2pm before taking a sleep, returning to the studio at 5 or 6pm. Thereafter, he works until he chooses to stop - this often takes him to the early hours of the next morning. Of course when he is away from home, working on a new project, the days are very different - this can and has involved bullet train journeys out of Tokyo to catch rehearsal, early morning class at The Royal Opera House London or as an intriguing overnight guest at a Scottish Castle while in pursuit of dress rehearsals in Braemar village hall!!! The contrasts between life at home and that when away are marked indeed and this goes some way to explaining Robert’s simple, but devoted routine when he is in his studio making paintings.